Tornadoes and other natural disasters remind us that we can never be too prepared for an incident. During the ice storm a few years ago, I remember my mother filling up jars of water and stocking the basement with canned goods ‘just-in-case’. After this week’s tornados, getting similarly prepared is an excellent idea. But, what can we do for our pets? Make a pet first-aid kit and keep it in a location known to the entire family. Some items to keep in the kit include: Veterinary records, extra pet medications, photos of your pets, phone number and directions to the clinic, emergency contact information, poison control, bandage equipment, tick pullers, wound disinfectants, benedryl (diphenhydramine), gloves, a leash, styptic powder, a muzzle, and nail trimmers. Have a pet carrier handy in which your animal can turn around in comfortably. Don’t wait for an emergency to occur, stores may sell out! Have enough carriers to evacuate your animals on short notice. Don’t take your animals out of their carriers unless you’re in an enclosed space. Animals don’t know what is happening, the fear can drive them to run away- regardless of your intentions. 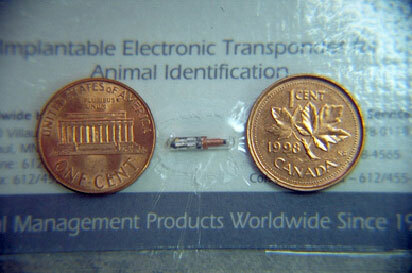 Collars and tags can fall off pets easily, a microchip is for life. Always keep a supply of food and water available for all of the animals for at least one week. Put a decal sticker on your window which states how many and the types of pets in the house. If you have to evacuate your house, take your pet with you in a carrier, especially if you are unsure how many days it will be until your return.